Sensitively placed amid 620 rambling acres of lush forested meadows and carefully preserved wetlands of the sun-blessed Coeur d'Alene recreation area. 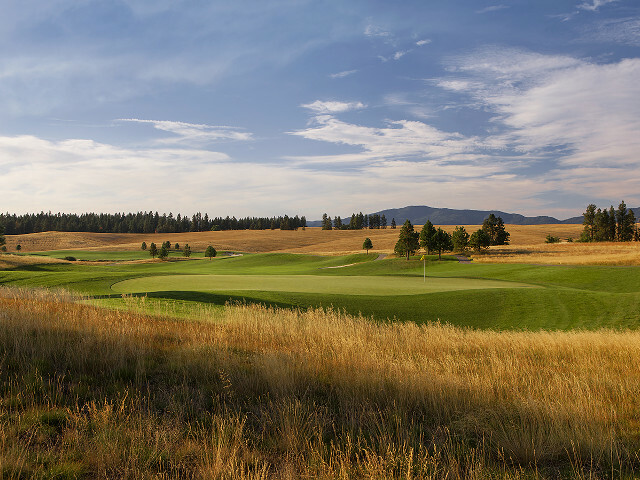 Circling Raven was conceived by famed golf course architect Gene Bates to blend with nature, not compete against it. There are certain experiences in golf that can't be measured by a scorecard. The feeling of being the only group on the course. The sighting of a moose near the fifth hole. The joy of watching your drives soar against the backdrop of one of America's premier mountain retreats. 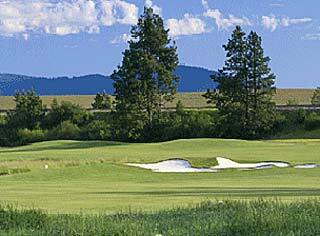 All this is yours to experience at Circling Raven Golf Club. A 7,189 yard, par 72 championship course. Directions: -Located at the junction of Hwy 95 and Hwy 58, 30 miles South of Coeur d'Alene. We do not have any current pre-built packages for Circling Raven Golf Club . A round of golf includes 18 holes, cart, GPS yardage systems on carts, and full use of 25 acres of practice facility, range balls and signature bag tag. 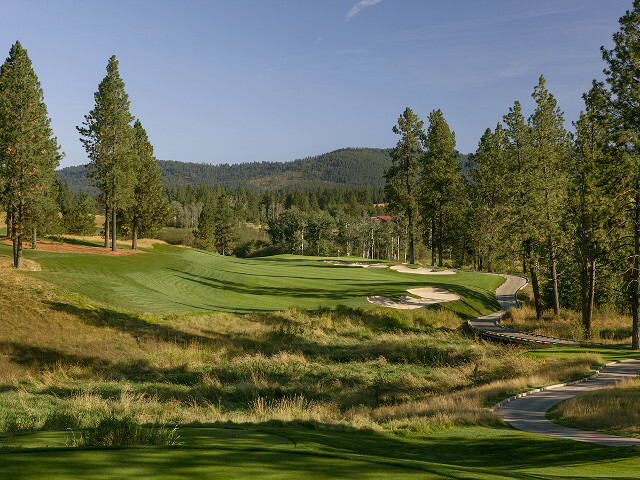 Stay & Play Package includes: deluxe accommodations in either the Mountain Lodge or Spa Tower for 2 guests at the CD'Alene Casino Resort, 18 holes of golf for two players, cart, GPS, and full use of 25 acre practice facility. Please note: Guest reviews may mention certain amenities that may no longer be offered with Circling Raven Golf Club. Please check the amenities prior to booking to confirm. "This golf course along with the staff that operate make the trip worthwhile WE WILL BE BACK keep up the good work RAVEN"
"One of the main reasons on my trip down from Calgary was to play here again. A fantastic golf course. A friend joined me for the weekend on my recommendation and he loved it.. will be back again for sure"
"I really liked how the course was laid out and how it was sensitive to the environment. I also liked the option of having a choice from 5 different tee boxes." "top notch golf freindly helpful staff will defanitly will return"